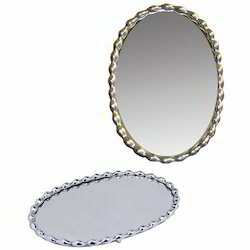 To serve the rising demands of our prestigious clients, we bring forth Metal Plated Mirror. 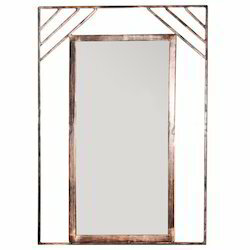 The extensive range of mirrors offered by us is inclusive of Designed Copper Plated Aluminium Mirror, Copper Plated Iron Mirror, and Copper Plated Aluminium Mirror. Known for their alluring designs, fine finish and stylish frames, these offered mirrors are widely acclaimed in the market. We offer high quality Wine Bottle Holder to our customers. 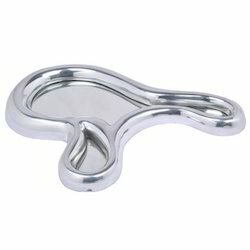 The offered wine bottle holder is widely used for by customers for decorating interiors. 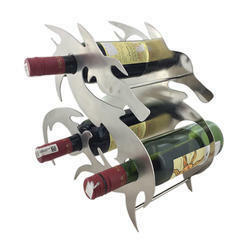 These wine bottle holder are designed from high quality,which is procured from trusted vendors. We offer these wine bottle holder in bulk keeping in mind our customers convenience and requirements. 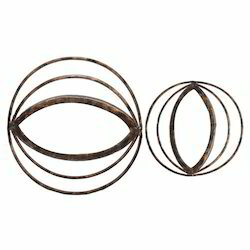 Enriched with a vast industry experience, we are able to manufacture, export and supply Metal Trivet. 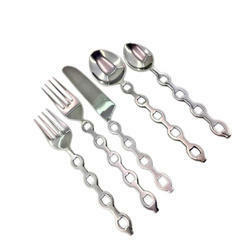 This offered range of trivets offered by us has reaped immense appreciations among our customers. 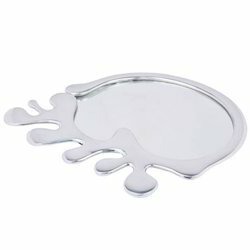 Known for the designs engraved, the range of trivets offered by us is highly popular in the market. We hold expertise in offering high grade Plated Iron Mirror to our valuable customers. These mirrors are designed and developed by our highly experienced artisan and craftsmen, to ensure high standards of quality. 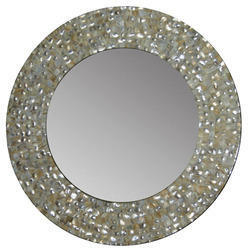 The offered mirrors are widely used as make-up mirror by our esteemed customers. 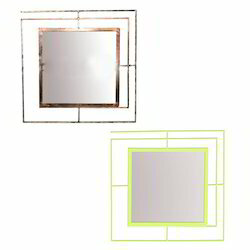 In addition to this, these mirrors are used for different decorating interiors. 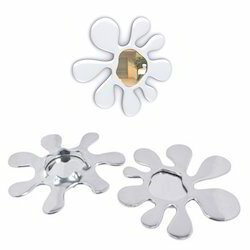 We specialize in offering our customers with high quality Nickel Plated Aluminum Mirror to our valuable customers. To ensure delivery of flawless mirrors, these designer mirrors undergo various in-house testing by our quality controllers. In addition to this, these mirrors are framed on aluminum base, which is plated with nickel, to ensure their eye-catching looks and trendy design. We are one of the leading manufacturers and exporters of high quality Plated Aluminium Mirror. 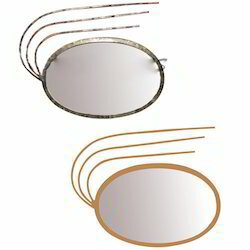 The offered mirror is manufactured using latest machinery and tools, to ensure high standards of quality. These mirrors are widely used for various decorative purposes by our esteemed customers. 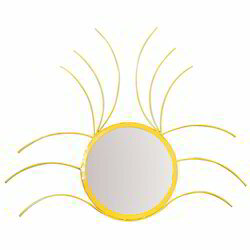 The mirror, offered by us can be custom designed as per the requirements of our customers. 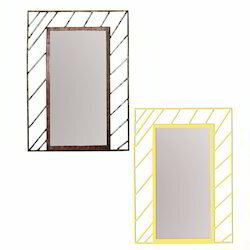 We offer optimum quality Plated Aluminium Mirror to our esteemed customers. 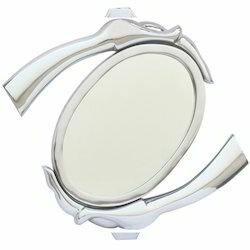 The offered product is widely used as make-up mirror by our customers. In addition to this, these mirrors are also used for decorating interiors. These mirrors are framed on aluminium base, which is coated with different materials to enhance their appearances. 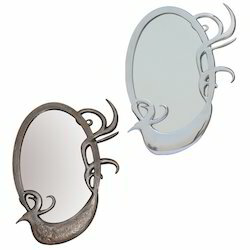 The mirror, offered by us can be custom designed as per the specification given by our customers.